Under the able guidance of our capable industrious professional we have immersed as prominent wholesaler and exporters of precision made Stainless Steel Sheets. Our range of products in Industrial products incorporates Stainless Steel Sheet such as Steel Sheets, Stainless Steel End Cap, Stainless Steel Sheets and Mild Steel Roller Stainless Steel Flats that are composed of supreme grade raw material. Apart from this, the offered products are available in client friendly rates. We are a renowned organization, which is engaged in wholesaling and exporting process of Stainless Steel Sheet. The The offered product is composed of superior quality material so it can ensure complete satisfaction to our clients. Apart from this, the offered product range is used for the various industrial applications and are highly demanded by our esteemed customers. 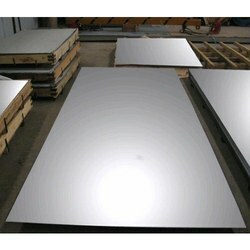 Looking for Stainless Steel Sheets ?